Allergies are caused by exposure to pollution of either a particulate form such as pollen or a chemical form such as polyvinyl chloride. The results of exposure to a pollutant to which the body is allergic vary dramatically. Hay fever with a few sneezes in the morning is a mild reaction while Multiple Chemical Sensitivity can completely debilitate a sufferer. 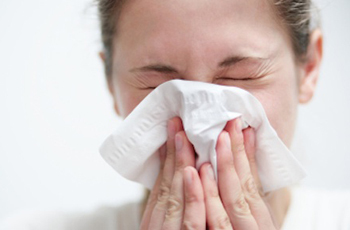 So, what can be done to reduce the symptoms from these allergies? The answer is a lot. While this article addresses the use of portable air purifiers, the first layer in a plan to reduce allergic symptoms must be to eliminate the source of the pollution. An air purifier is typically not able to keep up with an active source. So, for instance, while a good home air purifier can reduce the smell and particulates from a cigar, it will not be effective while a cigar is being smoked. Secondly, surfaces and materials that might harbor the pollutant such as rugs, walls, light bulbs, drapery, and upholstery must be cleaned or eliminated from the environment. All of these items will continue to return the pollutant to the environment. Thirdly, if there is a forced air system in the home or office the filter must be changed regularly and duct cleaning should be considered in older homes and offices. Often these first steps remove the pollutant and the allergy sufferer finds relief without the use of an air purifier. All of the effective air purifier technologies are simple. There is a box with a fan and some system, either electronic or mechanical, that removes pollutants from the airflow that is passing though the box. The real key to understanding how to use an air purifier is to remember that only the air that goes though the box gets cleaned. So, if you have a very long room you may be better with two small air purifiers at either end rather than one large unit in the middle. Think logically and remember how these devices work. The technology that you should employ is determined by what type of pollutant you are trying to remove. Adsorption media such as activated carbon or zeolite will remove chemical pollutants, HEPA and electronic technologies will remove particulates, and UV technology will disable microorganisms. Typically these technologies are used in combination. Pollen is a particulate pollutant and is best addressed with either a HEPA system or an electronic system. HEPA is highly effective but the filters must be changes on an interval that varies from 6-months to 5-years depending on the manufacturer. Electronic filter elements do not need to be changed but must be washed regularly to remain effective. Both of these technologies are usually combined with an activated carbon filter. These vary from pounds of media to a then mat. Since pollen is a particulate we do not need to worry about the activated carbon but do not expect much from the activated carbon mats. They do not offer enough exposure time to be effective at removing chemicals or odors. Microorganisms are often a concern for those that have weak or damaged immune systems including the very young and elderly. The most effective way to address the spread of microorganisms is the use of UV light in the air purifier. This light affects the DNA of the organism and at least keeps it from reproducing but more often kills it. UV light is typically employed in conjunction with HEPA technology so that the air is clean of particulates that would shade the microorganisms from the UV radiation. Chemicals are removed from the air via a process known as adsorption. A media is used such as activated carbon that has tremendous surface area. As the chemicals encounter the media they adhere to the media and coat it, thus removing the chemicals from the air. While activated carbon is a good general purpose media, there are other mixtures that have been created by the air purifier companies that address specific compounds. Therefore, if you know which compounds you are targeting for removal it is best to communicate this with the firm to get the proper mixture to address your issue. Much like UV, HEPA is usually used in combination with the adsorbing media. This assures that the media does not become clogged with particulate pollution and made less effective. In summary, the first defense against airborne allergens to remove the source of the allergen and anything that will retain the allergen. Secondly, pick a technology that is effective with the specific allergen that is the issue. Thirdly apply air purifiers in such a way as to maximize the air that is going through the unit.